Classic Canes has two brand ambassadors, who use our products prominently and demonstrate to the world that a walking stick is a positive, empowering and stylish accessory. Natasha suffers from Transverse Myelitis, a condition that has left her with permanent nerve damage and severe weakness in her legs since contracting a virus at 14 months old. She always uses a stick, and sometimes two, to walk. 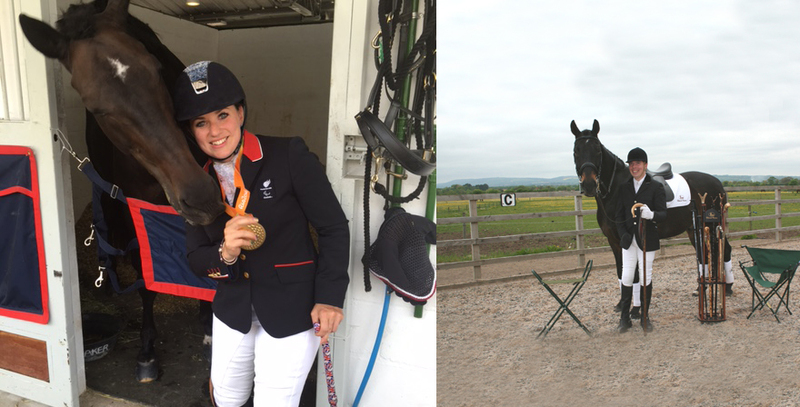 At the London 2012 Paralympics, Natasha won two gold medals for Great Britain in the Paralympic dressage events. As a result of her achievements at London 2012, Natasha became one of only 25 British Paralympians to be awarded an MBE by the Queen. For her podium appearances at the Olympics, Natasha chose a Classic Canes' Union Flag print walking stick, commencing a relationship with Classic Canes that has culminated in her being formally appointed as a brand ambassador. Natasha has been selected for the Rio Paralympics in 2016. Edward is a former show jumper and jockey. In 2001, whilst working in a racing yard, he sustained a serious head and back injury in a schooling fall. He was on a life support system for several weeks and the accident resulted in him being paralysed on his right side. He was determined to ride again and is now a competitive dressage rider (Grade Two para dressage). Edward needs a stick to walk, so we are delighted to have supplied him with a wardrobe of sticks and seat sticks. As a stick user who attends a wide variety of sporting and social events, he is the ideal brand ambassador for Classic Canes and has also provided us with some very useful feedback on our products.